Dr. Ducasse’s North York-based dental practice offers periodontal treatment to patients with all phases of periodontal disease. Periodontics is the dental specialty dealing with preventing, diagnosing and treating diseases of the surrounding tissues of the teeth. Scaling and root planing - The preventative treatment of gum disease (gingivitis) begins with scaling and root planing. Dental scaling is the process of manual or ultrasonic plaque, calculus and tartar removal from below the gumline. While root planing aims to decrease gum inflammation by scaling the roots to remove unwanted plaque and biofilm, encouraging natural healing of the gums. The benefit of scaling and root planing treatment is in preventing disease, bad breath and tooth loss. If left untreated, bacteria from periodontal infections can enter the bloodstream and cause cardiac or respiratory disease. Whether you require wisdom teeth extraction, tooth extraction due to impacted teeth or severe tooth decay from periodontal disease, Dr. Ducasse can discuss the process with you and perhaps recommend replacement of the missing tooth by restorative dentistry. Missing a tooth may cause side effects such as problems chewing or TMJ issues, which is why there is a clear benefit to replacing the extracted tooth. Wisdom teeth extraction may be necessary to prevent misalignment from impacted teeth, especially if they are growing sideways and are trapped beneath the gums. If left untreated, it may cause painful swelling and bacterial infection. Treatment involves administering anesthesia prior to extraction so that you will not feel pain during the extraction process. Dr. Ducasse will offer aftercare instructions once the procedure is completed. Frenectomy is a common minor surgical procedure performed in our office under local or general anesthesia. A frenectomy is the removal of a frenum, a small tissue fold - either attaching the upper or lower lips to the gums, or attached to the tongue (tongue-tie). The procedure is very effective and is easily performed in less than 15 minutes. 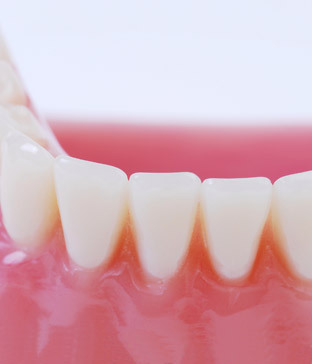 To correct a “gummy” smile, a procedure known as crown lengthening is recommended. This restorative dentistry procedure involves reshaping the gums and bone surrounding the tooth to expose more of the natural tooth. 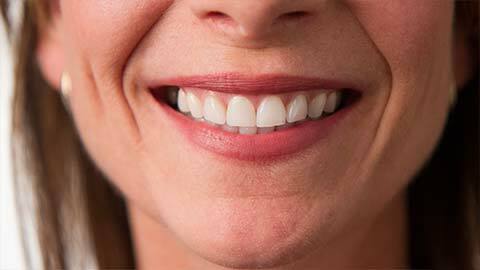 One single tooth, multiple teeth or the entire gum line may be crown lengthened. Gum disease - such as gingivitis and periodontitis - is a serious oral health concern may lead to tooth loss. Gingivitis is a milder form of gum disease (often caused by poor oral hygiene) resulting in red, swollen gums that are prone to bleeding. If left untreated, gingivitis may be a precursor to more serious periodontitis leading to tooth loss. If treated, the results of gingivitis can be reversed. Periodontitis is often caused by a bacterial infection below the gumline due to plaque buildup which hardens into tartar. Pockets can develop between your teeth and gumline, resulting in painful receding of the gums and other signs of periodontal disease. Contributing factors to periodontal disease include stress, smoking, diabetes, poor nutrition and diabetes. The good news is that periodontal disease is reversible. The sooner it is diagnosed, the quicker it is to treat. If your gums are swollen, tender, painful or receding, or if you notice loose teeth or bad breath, all of which are signs periodontal disease, do not hesitate to call our office to schedule a consultation.